We believe that free and open source software is better than proprietary. We also believe that we can change how people use technology. 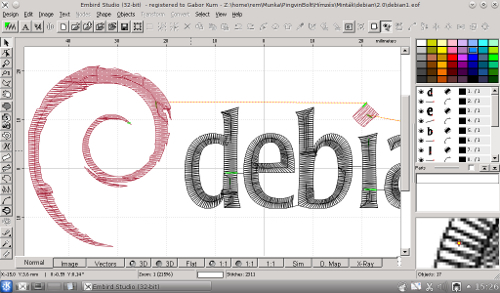 If you are the kind of person who likes freedom and fun, promote free software with us! HELLOTUX is a family business of Gábor Kum, a Linux system administrator and a software developer, a Linux user since 1999. 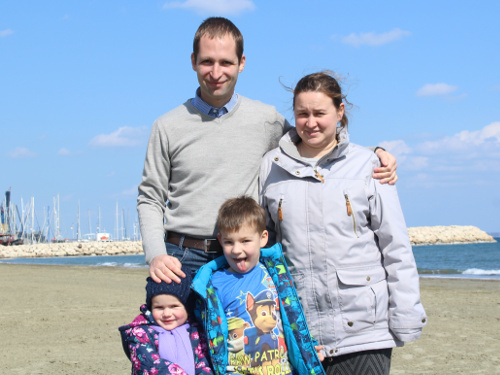 His wife Maria, his son Viktor and his daughter are Linux users too. 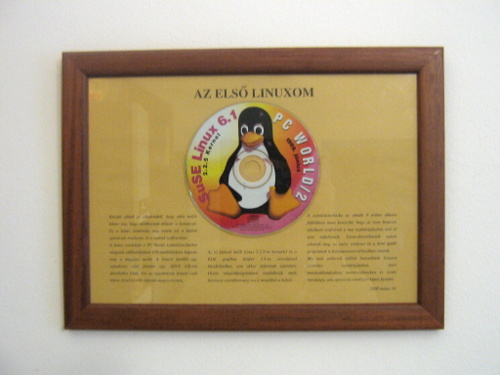 We made our first Linux shirts 17 years ago, in 2002 and had various t-shirt projects in cooperation with the Hungarian Linux community and with Linux portals. In 2009 we decided to open PingvinBolt, our Hungarian Linux t-shirt shop, and about one year later, our international one, HELLOTUX. 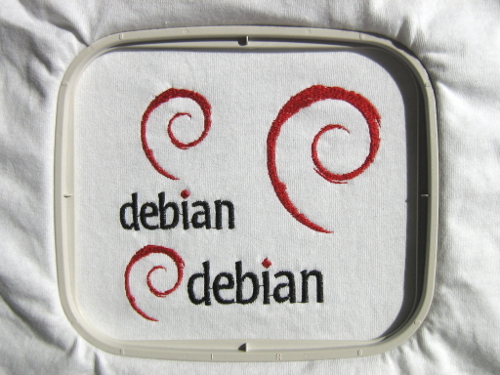 We know that there are many ways to have a free software t-shirt around, but we are different. We embroider every shirt individually with care and love using our programmable embroidery machine, and use free software. When making patterns for these machines, you usually need a lot of proprietary software, and almost all of them are running under Microsoft Windows. We solved this problem with Wine and a machine-independent software from a small company. It is not free, but at least we are able to use it under Linux, and we believe it is a much better solution. Everything else we use is fully free software. We are not just another t-shirt shop with some Linux shirts - we are a shop with only Linux and free software shirts. It does really matter. This is not all. From your purchase we support free software, usually $3-5 from each product sold. But not everybody can accept money due to legal reasons, in this case, we give free shirts to developers.